Our clients are creating irresistible customer experiences that drive results and win Sitecore Experience Awards. We are ecstatic to get to work with clients who think deeply about building engaging, interactive and personalized customer experiences for their customers. Congratulations to the 2016 Sitecore Experience Awards Winners from around the world. Stockland is one of the largest diversified property groups in Australia. The company owns, manages and develops shopping centres, logistics centres and business parks, office assets, residential communities and retirement living villages. 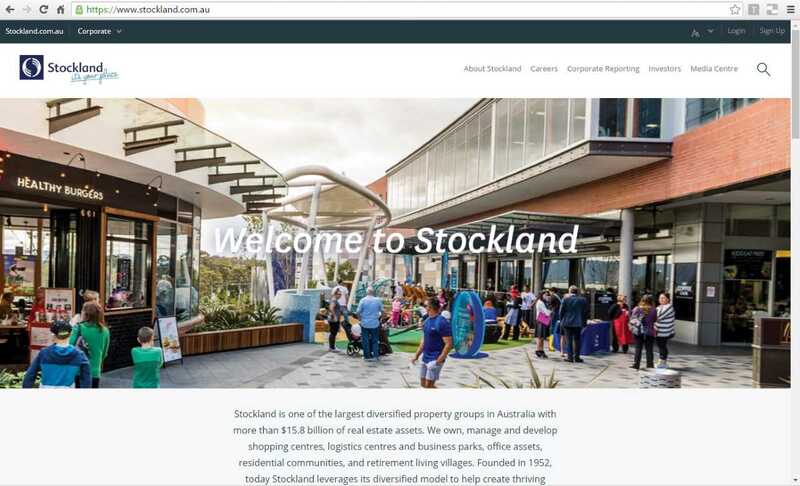 Driven by a need to build a website that could deliver a superior and highly personalised customer experience, the Sitecore experience platform now allows Stockland to understand their customers at an individual level, and personalise their experience when browsing product and content. With seamless engaging experiences across devices and touchpoints, Stockland has been able to lay the foundations for a rich digital strategy. In just over six months, Residential website sessions have grown +55% YoY, and pages per session +17% YoY, demonstrating stronger engagement with content – a promising sign of results to come. Nippon Paint is a recognised paint manufacturer and business based in China. To better meet customers’ expectations for a more personalised experience, the company decided to redesign its eCommerce site. Nippon Paint wanted to do more than just provide a product. It envisioned customers interacting with its brand, and it wanted to anticipate their needs and preferences so that it could also provide services around its product. At the same time, Nippon Paint wanted to create a more robust digital workplace for its internal employees to meet the needs of the digital customer. 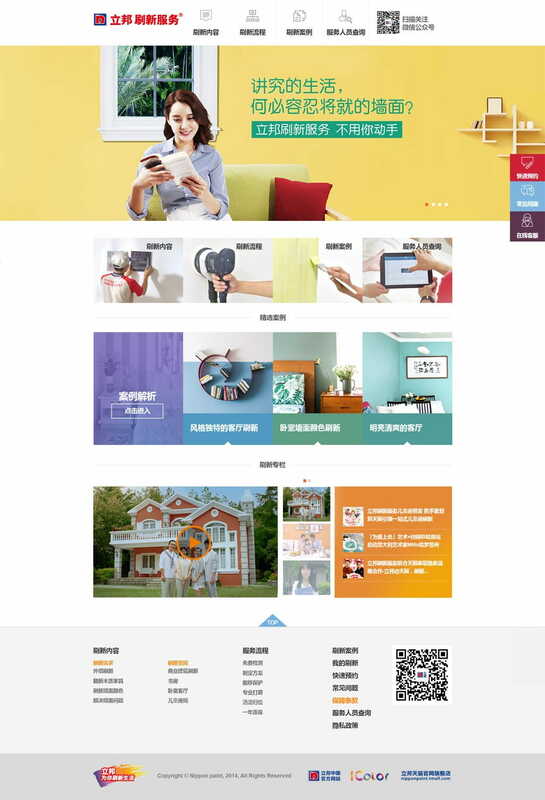 The goal was two-fold: (1) to create a platform that connects clients, Nippon Paint and other home decoration partners; and (2) to empower its field workers and partners to upsell and cross-sell more effectively. Achieving these objectives would increase both customer and employee satisfaction as well as revenues. To realise this vision, the company turned to its long-time digital partner, Avanade, to develop a solution. Together they participated in a workshop where a digital innovation plan was set in motion. Nippon Paint had 18 websites and 15 WeChat accounts developed and maintained by different vendors, making it difficult for the company to gain explicit business insight into its customers and limiting its ability provide personalised experiences and build client loyalty. Nippon Paint engaged Avanade to redesign the user interface for the backend of the eCommerce platform in order to create a simple, efficient user interaction. It started by migrating two Nippon Paint websites to the Sitecore Experience Platform 8.1, as a pilot program. Based on the success of this launch, Avanade continued to help Nippon Paint consolidate all of its websites and move its customer data and social media content onto the Sitecore platform, giving the company an integrated view of customer activity. Tokyo Gas is the largest gas LDC in Japan. Founded in 1885, it provides gas to main cities of Tokyo and surrounding cities, with more than 11 million customers served. Tokyo Gas also provides supply and sales of gas appliances and related installation work, and energy services. They are the producer and wholesaler of electric power using natural gas as well. With de-regulation of retail electricity market, they have started focusing on their electric retail business for the region. Their website, “myTokyoGas” provides billing and other information regarding gas and electricity as well as related tips useful for daily life for current and potential customers. To provide more personalised and better experiences, they needed to evolve their website. With the help of Avanade and Sitecore, not only have they personalised content for their audience, they can now create marketing and promotional programs to increase the number of users of both gas and electricity, and encourage them to access the website more frequently. Microsoft is a global technology company that develops, manufactures, and sells computer and electronic software, services, devices and solutions for individuals and businesses. They have hundreds of thousands of partners worldwide and are continuously looking for ways to make it easier for their partners to do business with them. 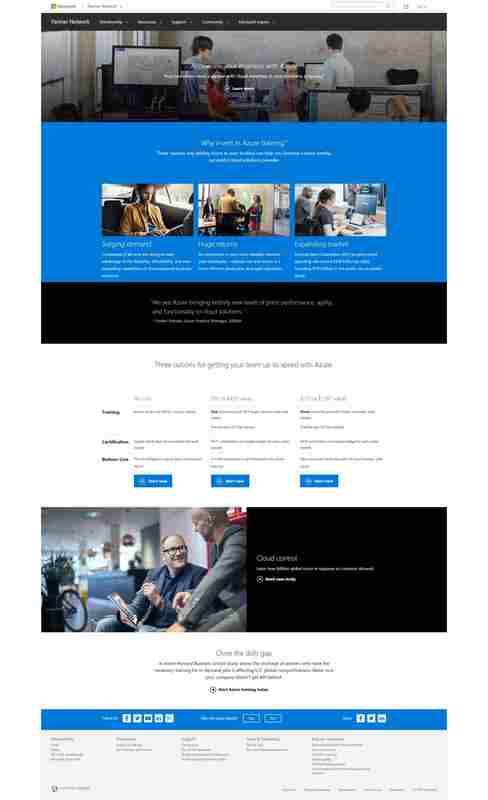 One of the primary ways in which its partners view and interact with Microsoft products, services and solutions is through its Microsoft Partner Network (MPN) website. However, the site had become outdated over time and was in need of a new platform that could provide a faster load time and take advantage of the latest technologies including a more efficient publishing tool, targeted marketing capabilities and more personalised content. The new website is fully hosted on Azure in multiple regions around the world. Its third-party integration with Clay Tablet eases the content translation process. The site also uses FXM to federate the site’s header and footer to ensure visual consistency. New content and visuals only need to be developed once and any changes are automatically applied to all their sites worldwide. In addition, loading times take on average, less than 0.5 seconds. 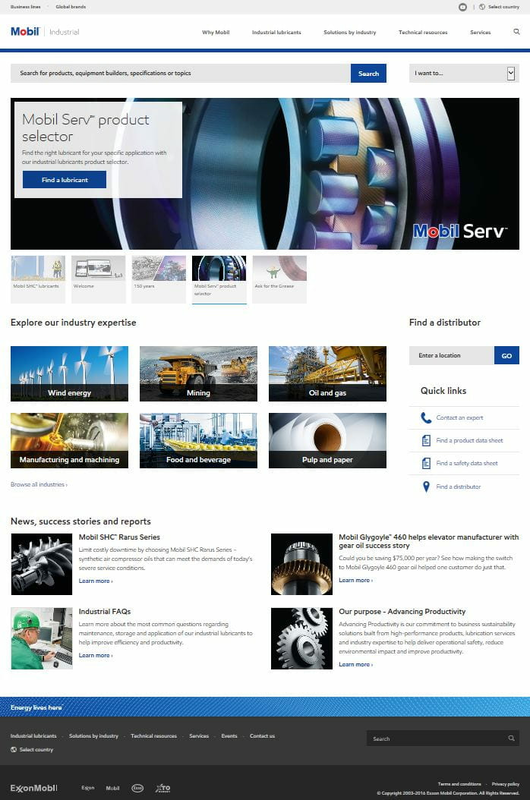 Overall, the new site has a more modern, innovative design that emphasises a simple, personalised, user-friendly experience that is sophisticated enough to meet business goals with measurable results. ExxonMobil is the largest publicly traded international oil and gas company. Fuels & Lubricants (F&L) is a leading provider of products and services around the world for both business and consumer use. ExxonMobil Fuels and Lubricants (F&L) requires websites that enable its customers to easily navigate their digital purchase journey. F&L has chosen Sitecore 8.0 hosted on Azure as the technology platform. Currently there are projects underway to adopt this platform in over 30 markets around the globe. The sites operate globally, with region-specific features that will enable F&L to leverage the full suite of technologies and capabilities available including experienceDB, mobile-responsive design, content authoring with page editor, dynamic content presentation, and Sitecore engagement analytics. With Sitecore, the marketing teams can provide customers with personalised experiences throughout their purchase journey while also demonstrating F&Ls industry expertise through a modernised omni-channel experience. Collaboration is at the heart of how we realise results for our clients and their customers. Find out how we can help you deliver winning end-to-end customer experiences.